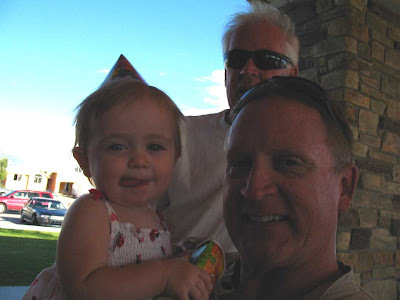 We had a few birthday's to attend recently. Neil's niece Elle turned 4 and we had a fun little party for her. Sadly, I put my camera away shortly after we arrived and didn't even get a picture of the birthday girl. 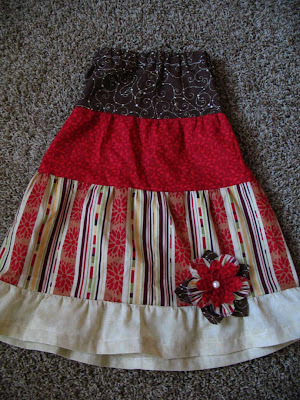 This is the skirt I made for Elle. The following week we went to a birthday party for our good friends' little girls Maili (3) and Alexa (1). They have the same birthday! 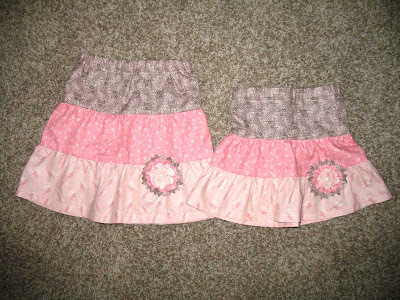 These were the skirts I made for them. 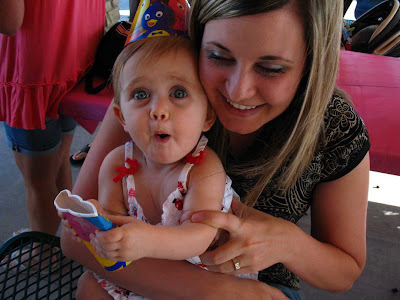 It was so fun to see all the excitement that a birthday can bring - especially to little girls!! Avery's is just around the corner. It will be fun, but at the same time, it kind of makes me sad that she is already going to be one! Slow down Avery....at least a little. I'm not ready for you to grow up yet! OH MY HECK! I didn't know you could sew! Those skirts ara so freakin' cute! Good job Jode's! Sorry we missed Avery's party last night. I heard you had lots of great treats. You made that skirt. You are amazing! Hey Neil (and cute family)! This is Amber (Haddock)-your super fun cousin ;o) I found your blog through your sis Lindsay-hope that's ok. So fun to see you and your beautiful family!! I've chatted some with your dad and Landon on facebook (you need to join up). I'd love to hear what you have been up to, where you're at, etc. And again your family is gorgeous! 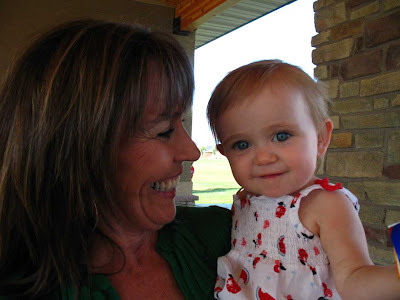 (amberwiser at gmail dot com) and our family blog is wiserside.blogspot. I've loved all these posts of late. Cute family pics and cute skirts!